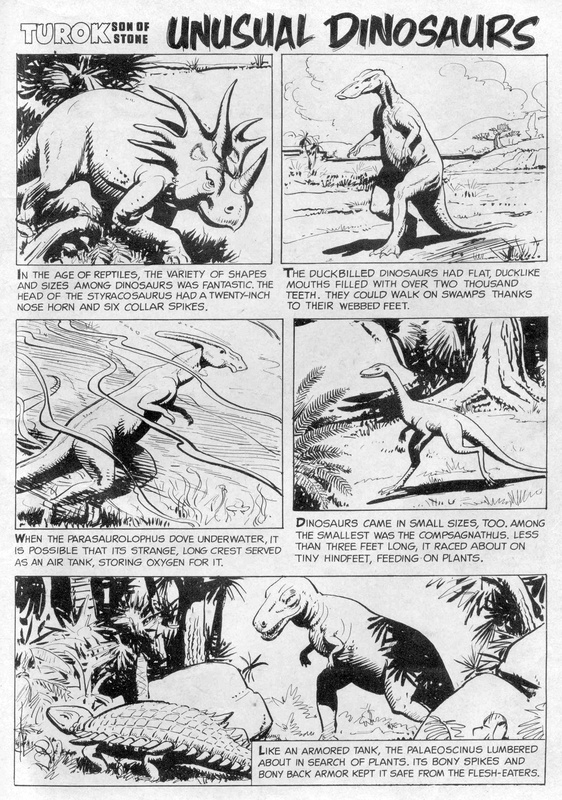 Charles Yates’ Dinosaurs: An Illustrated Guide! 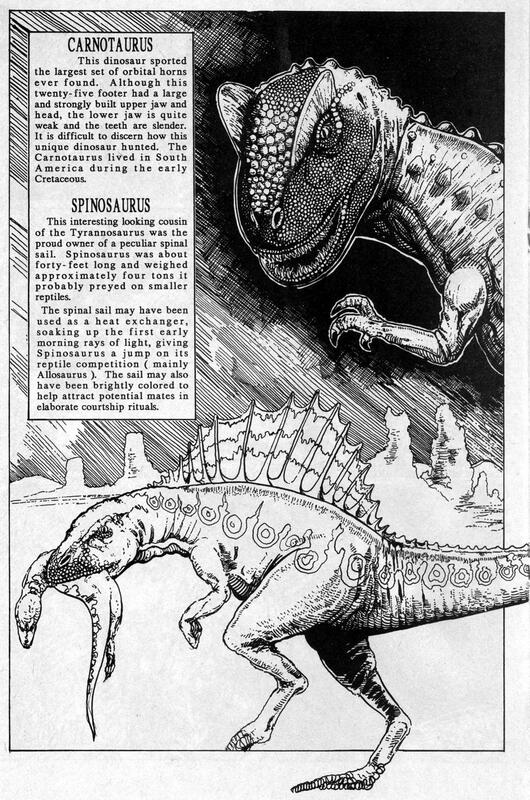 Charles Yates’ “Dinosaurs: An Illustrated Guide” showcases tons of completely awesome dinosaur drawings. No dinosaur comics enthusiast should be without it! “Dinosaurs” has been out of print for over 20 years and can be hard to find. Check our guide below to see if it’s in stock! 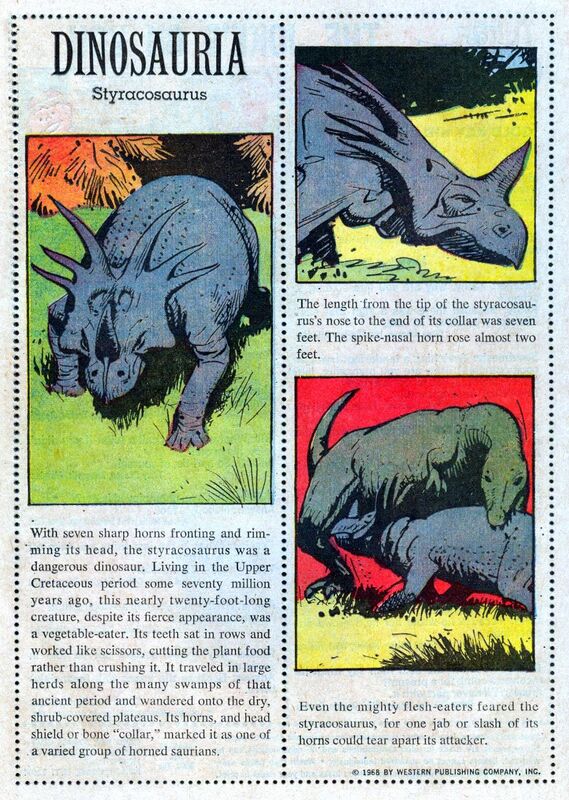 -From Dinosaurs: An Illustrated Guide #1 (Carnivores) and #2 (Herbivores); Caliber, 1991. 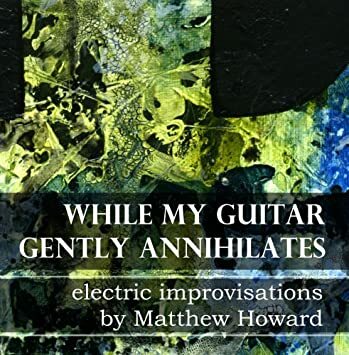 – Sometimes available on Amazon: Issue One, Issue Two. In today’s gallery, you’ll find nine pages of raging dinos, including: Carnatosaurus, Spinosaurus, Allosaurus, Coelurus, Yangchuanosaurus, Staurikosaurus, Alioramus, Baryonyx, Ornithomimus, Velociraptor, Oviraptor, Dromaeosaurus, Saltopus, Saurornithoides, Herrerasaurus, Saurornitholestes, Mussaurus, Thecodontosaurus, Tenontosaurus, Dryosaurus, Leptoceratops, Microceratops, and Psittacosaurus. That ought to keep you busy for a while! Presented with permission of artist Charles Yates and writer Gary Reed. Gary, now a science teacher, notes that some of the science may be out of date due to new discoveries, but was the best information available at the time.